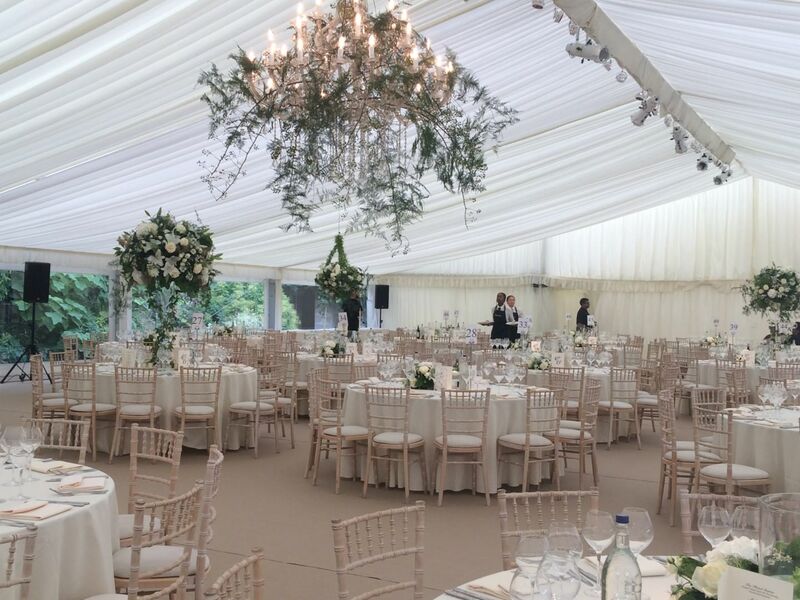 Our premium marquee is the perfect solution to larger events, be it a wedding, party or corporate occasion. 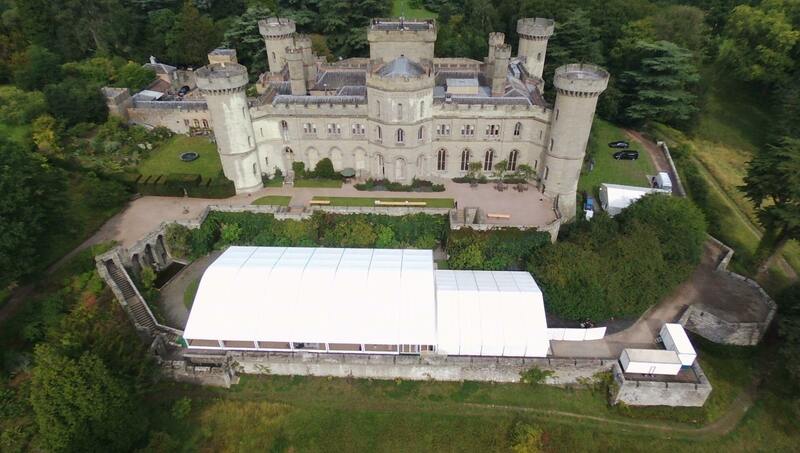 Where scale is important, our brand new premium marquee hire will provide more than enough space for your guests. 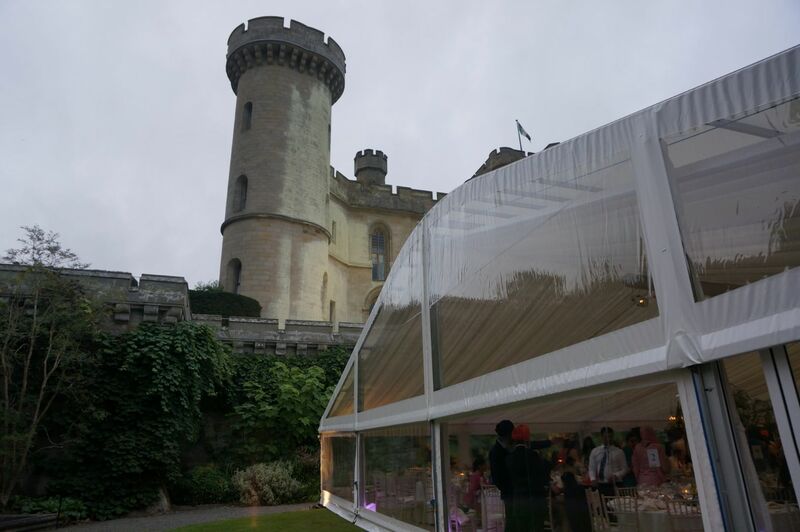 Utilising our wonderful new 20m wide marquee, over 650 guests were seated to a sumptuous meal and wedding celebration on the Lower Terrace in the castle grounds. Panoramic window walls made the most of the views over the lake and Herefordshire countryside. A reveal kept the huge bar and white dancefloor hidden during the meal, and once it was time for the revelling, the reveal was taken away for the guests to enjoy the additional dancing space. The brand new PVC had one of it’s first outings earlier in 2017 at Hampton Court Castle and again at Eastnor Castle later in the year, both wonderful venues in Herefordshire. 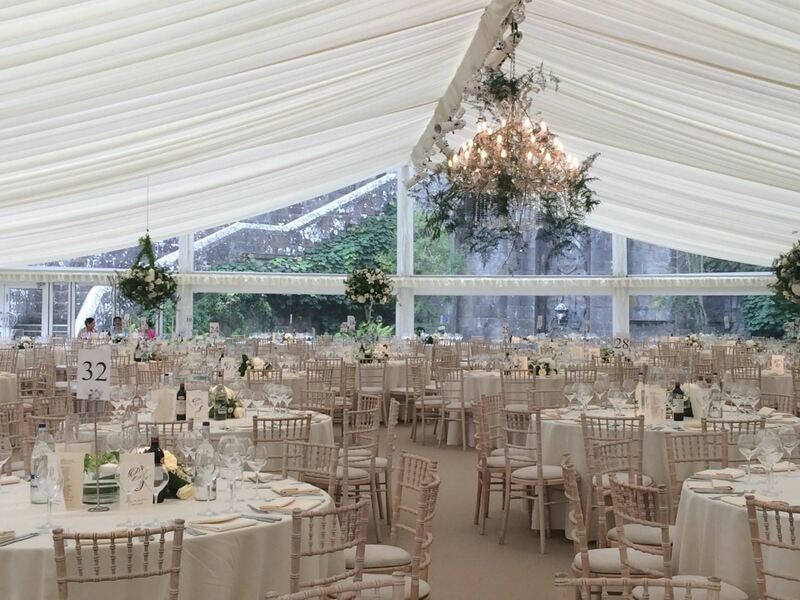 As guests made their way down the curving stone steps to the terrace, the interior of the marquee was gradually revealed through the vast clear gable end. With dining capacity for over 600 guests, additional space can be added with our smaller frame structures, which can adjoin the new structure with ease.  Whether this is needed for a bar or dance area, lounge or chillout space, or reception or registration room, the increase in capacity really allows for great use of spaces in some fabulous locations. 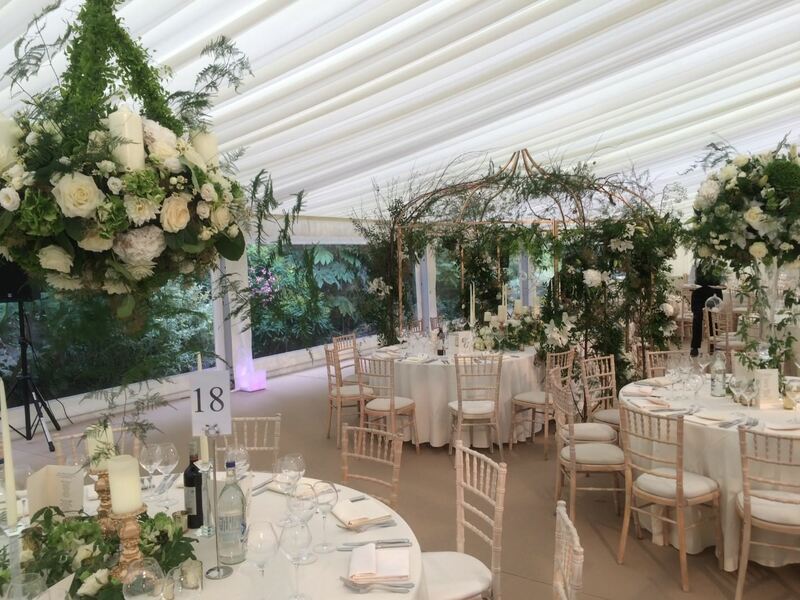 The scale of the premium marquee also allows for decorative arrangements, of grand scale, to be suspended from the ceiling beams. Exquisite floral arrangements and lighting can be used to add that unique quality to the marquee, something floral designers and lighting experts relish the challenge of. Where the newest acquisition to the Good Intents family will spring up yet, only time will tell and alredy 2018 will certainly be it’s busiest yet.